We are reckoned as the distinguished Manufacturer and Supplier of Metal Curtain Brackets in the Indian trade market. Our Metal Curtain Brackets are hugely demanded by customers due to their strength and durability. We have an assortment of Brass Curtain Brackets and Zinc Curtain Brackets which is available in different size and shapes. 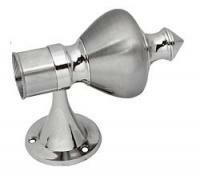 We undertake various types of finishing on the Curtain Brackets, which are available at very affordable prices. We provide a fascinating range of the Zinc Curtain Brackets, which is crafted keeping the ever changing preference of clients in mind. 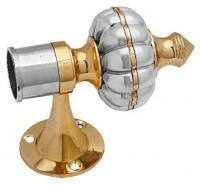 Our Zinc Curtain Bracket is acclaimed for exquisite designs and patterns. We manufacture Zinc Curtain Bracket from high grade Zinc, which ensures strength and everlasting finish.